2019 Basketball Christmas Camp. Queens, NY. Book Now. 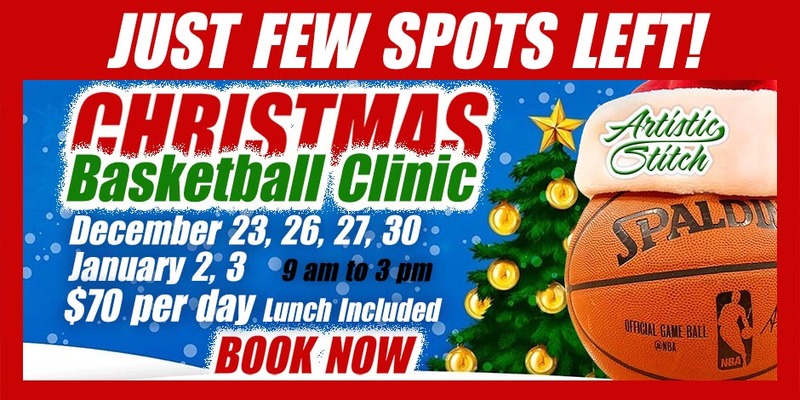 Artistic Stitch Sports Complex Christmas Basketball Camp will be held from December 23, 26, 27, 2019. 9:00am - 3:00pm. Ages 6 to 12. Lunch included (Pizza, Wraps, Soda). $25 extra for early drop offs and late pick-ups. 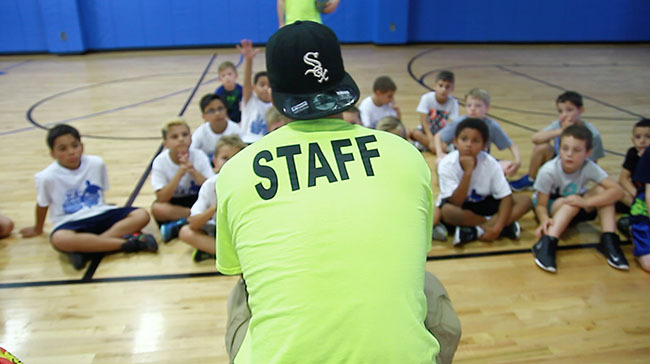 Our award winning Christmas Camp is Catered to kids from Queens, Brooklyn, and Manhattan areas. Ages range from 6 to 12. Lunch will be provided by our brick oven restaurant. We offer early pick up / late drop off. All participants must submit a waiver. Refunds may be given up to 15 days prior to start of camp minus a $50 non-refundable deposit fee. No refunds will be given within 15 days of the start of camp as staffing is determined by the number of participants.